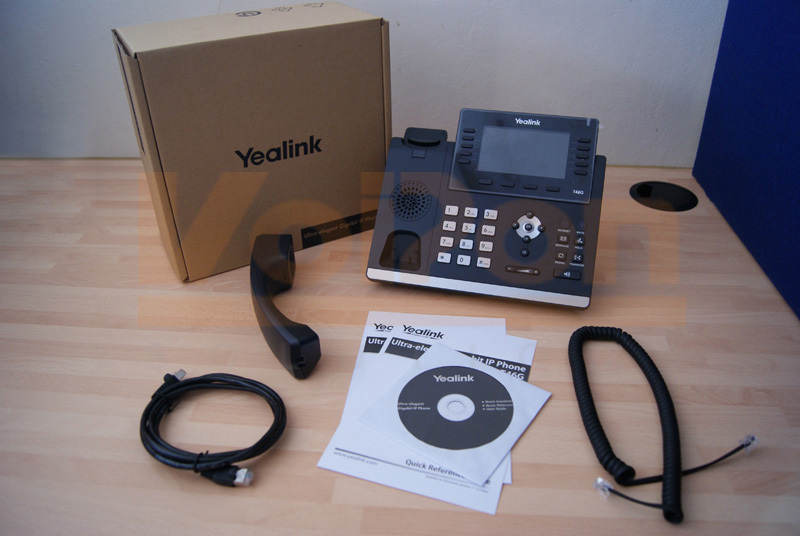 Yealink, the company that have brought us market leading IP Phones like the T22P, T32G, W52P and VP530 are back again with another IP Phone offering in the form of the SIP-T46G. Aimed at executive users and busy professionals, the new design features a high resolution TFT colour display to deliver a rich visual experience. 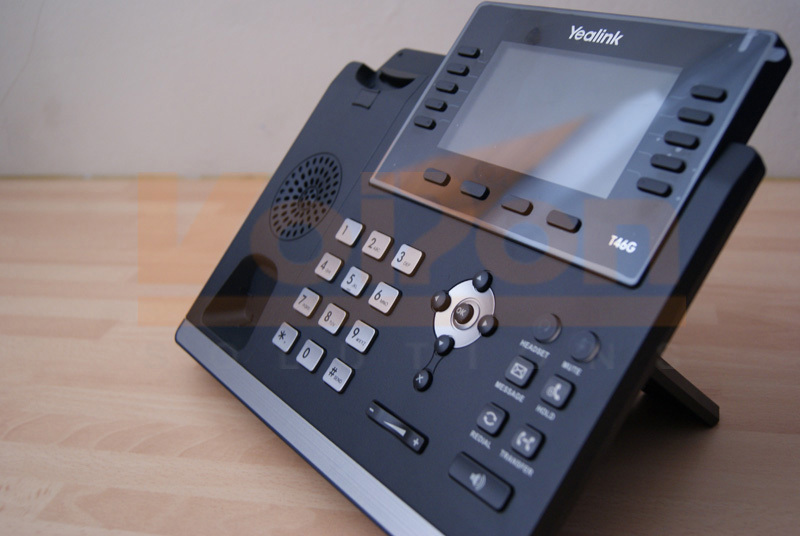 The T46G comes equipped with Yealink Optima HD technology which gives rich, clear, life-like voice communications. Supporting Gigabit Ethernet, a variety of device connections including the EHS adapter, and having programmable keys, there are plenty of productivity-enhancing features to be seen here. 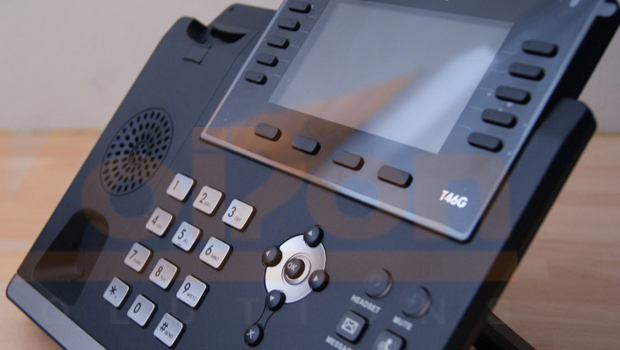 The T46G is a fairly large, but elegantly designed desk phone with a modern look and metallic effect keys. The surface of the unit is scratch resistant, so the great looks straight out of the box will not fade through day to day use. The size of the phone is mostly due to the high resolution LCD 4.3″, 480 x 272 colour display screen. There are also 4 soft keys and a small set of fixed keys. 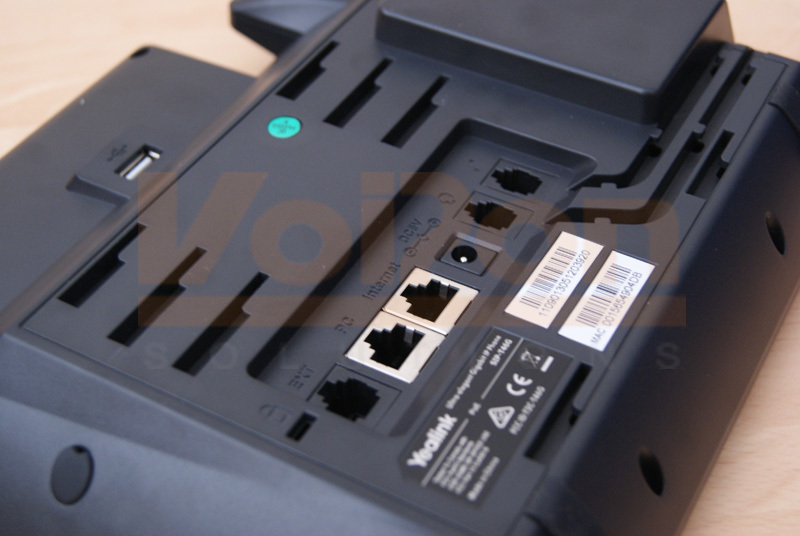 Turn the unit over, and we can see all the ports you would expect to find on a Yealink IP Phone. There are two Gigabit RJ45 ports for the PoE and PC connections. As well as Dual Gigabit Ethernet support, the T46G has a USB connection for a Bluetooth module or WiFi module. Headsets are also supported through the RJ11 port. 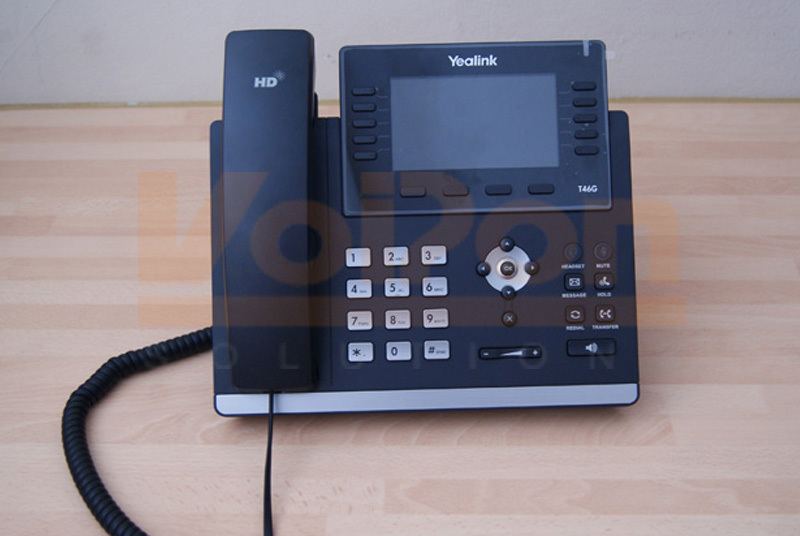 The T4 series from Yealink, consisting of the T46G, T42G and T41P, have been designed as a set, with very similar aesthetics and features. 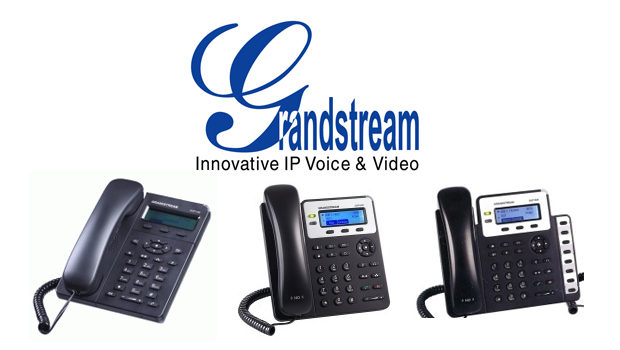 They all support full-duplex hands-free phones and feature graphical displays, fixed keys, softkeys and programmable keys. Other than the size, there are more subtle differences. For example, the T42G’s 5-line, monochrome, 192 x 64 pixel graphical display is not as impressive as the T46G’s high resolution, 480 x 272 pixel colour offering. The T46G can also handle 6 SIP accounts and has 10 multifunction keys, whereas the T42G can only do 3 SIP accounts and has 6 multifunction keys. The T4 series includes a clever ‘switching’ key which when used, gives a total of 27 programmable keys to the T46G. This phone can have up to 6 expansion modules attached, giving an additional 20 keys without even counting the keys created when using the switching keys also found of the expansion modules. 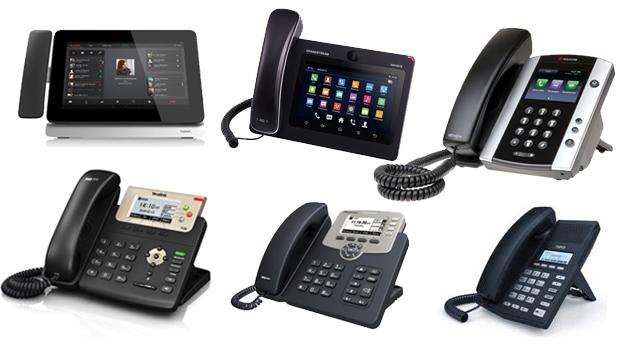 For more information about comparing Yealink Phones, check out our comparison chart. While it may require a little more desk space than other Yealink offerings, the large screen and impressive number of keys makes it worthwhile. Should desk space be an issue, it is also wall mountable for your convenience. The new, ultra-elegant design looks great and it is overflowing with features, making this a great choice for small or large businesses.